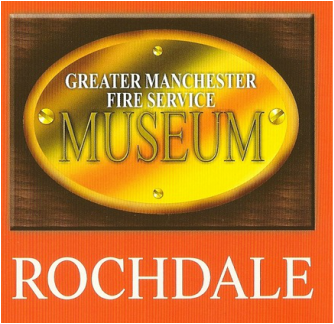 ​ click on icon top right side. 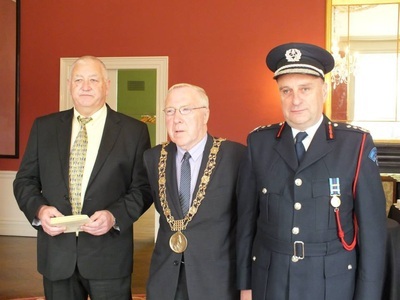 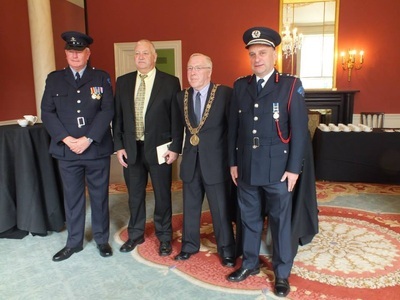 ​The history of Cork Fire Brigade between the years mentioned, a period which includes events like the ‘Troubles’, the ‘Burning of Cork’ in 1920, the Civil War, and the Emergency 1939 – 1945, and the part Cork firefighters played in them. 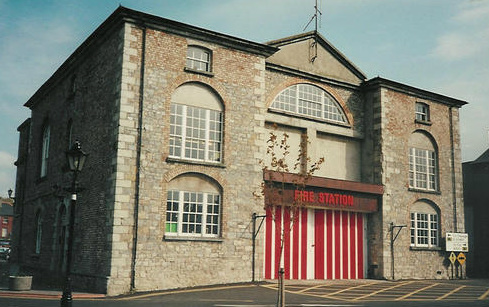 ​The book contains 80 black and white images, including ones of early Cork fire appliances, and 10 colour images. 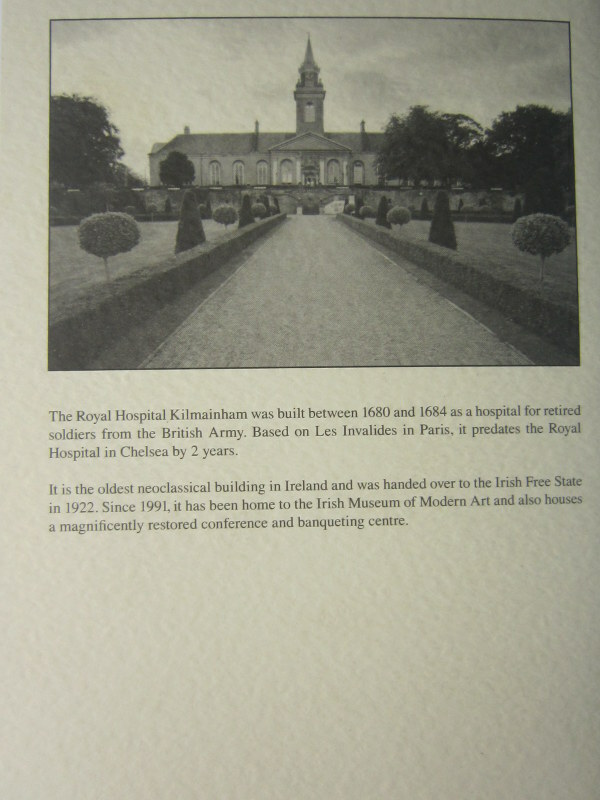 The page count is 320. It retails at €20 (plus postage where applicable). 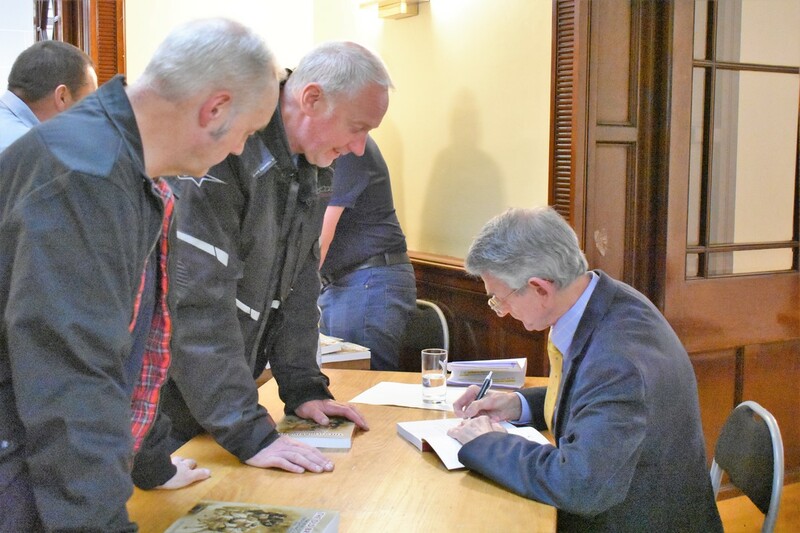 At the moment, it’s available from Waterstones, Cork, or from eBay by typing in the name of the book, selecting ‘Books, Comics and Magazines’, and pressing ‘Search’. 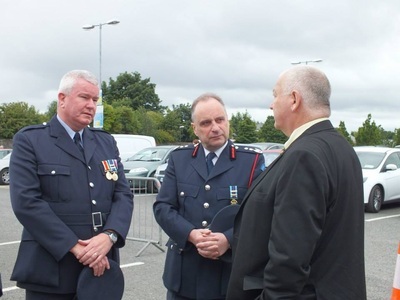 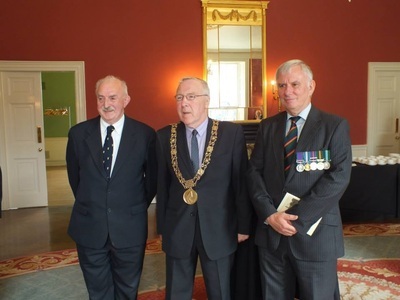 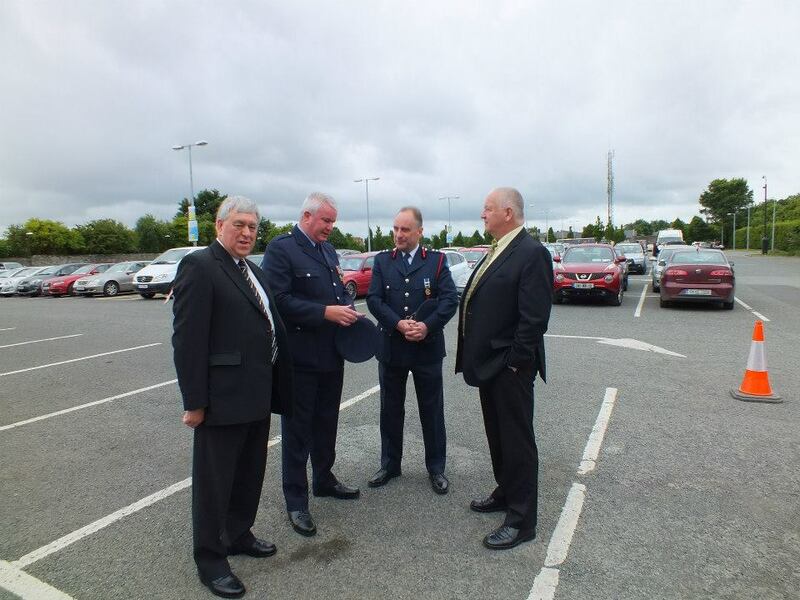 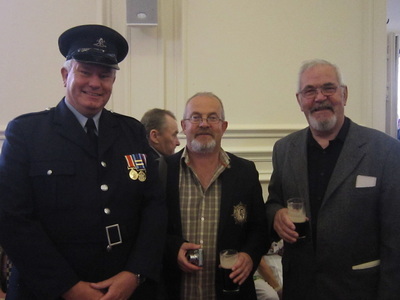 Pat Poland pictured with (left) 3rdO Breandán Ó Donnchú and CFO John Ryan. 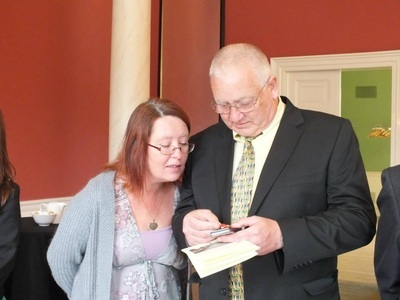 Pat Poland pictured at a book signing at Waterstone’s, Cork. 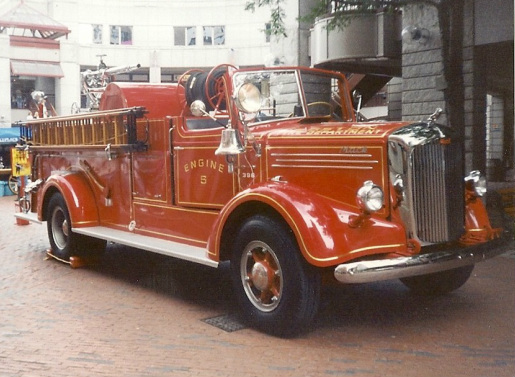 (Note the two nice antique fire helmets!). 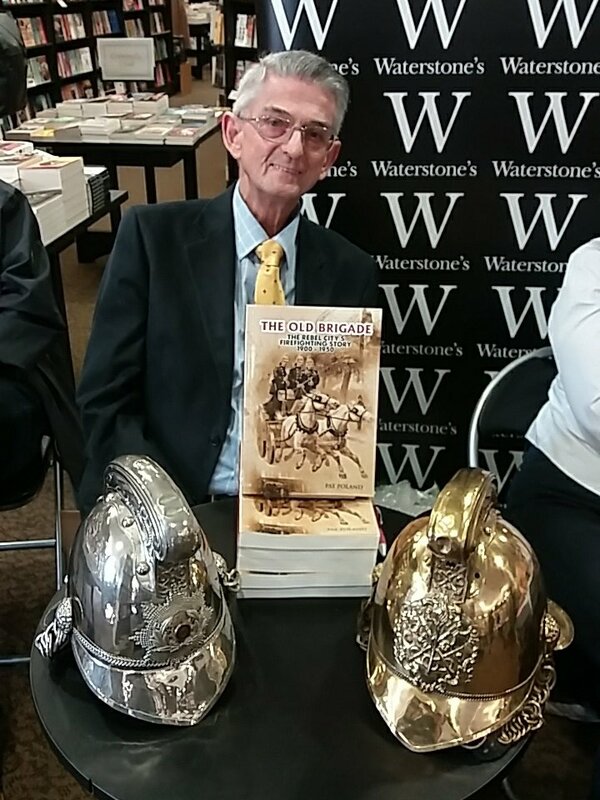 The author signing copies of ‘The Old Brigade’. 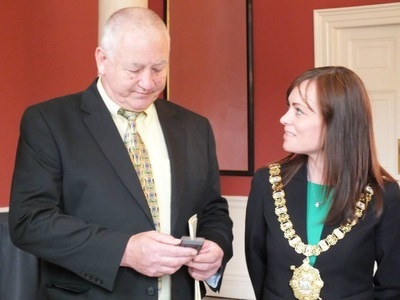 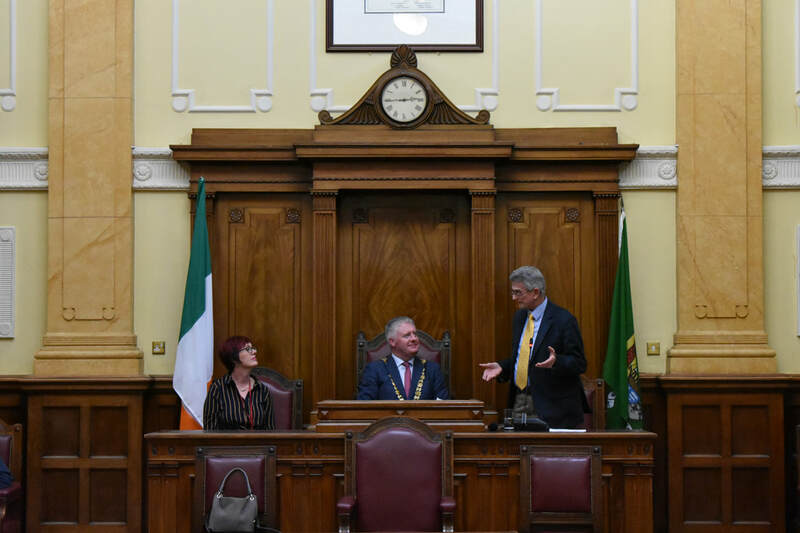 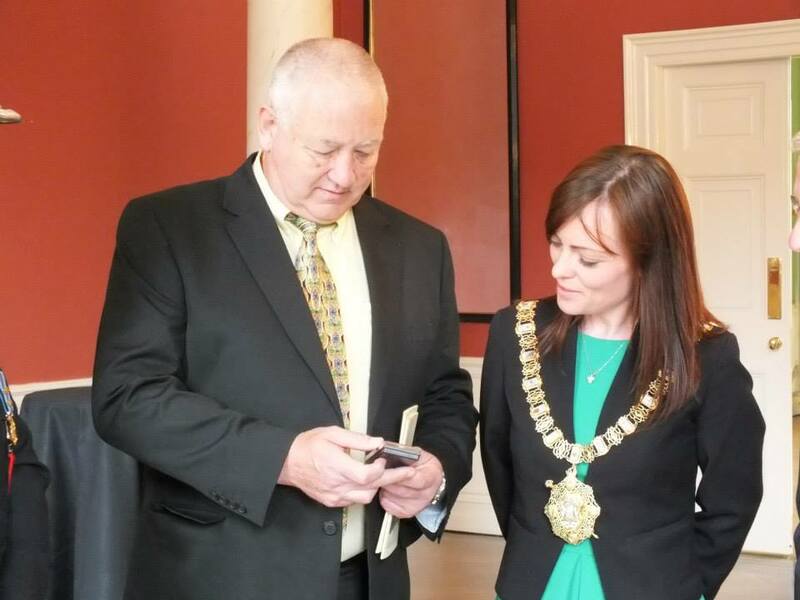 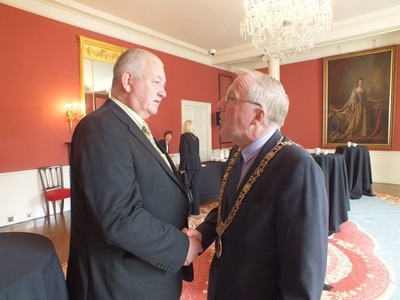 Author Pat Poland makes a point to Cork’s Lord Mayor, Cllr Mick Finn, and City Heritage Officer Niamh Twomey, at the launch of ‘The Old Brigade’ in Cork City Hall. 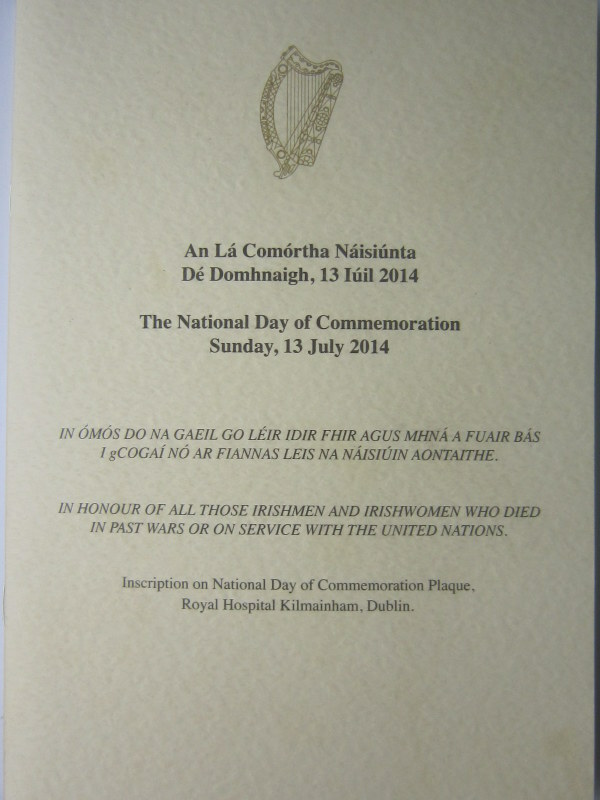 €5 inc post in Ire. 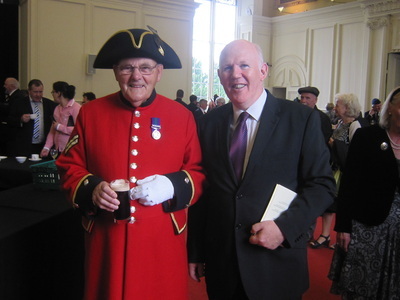 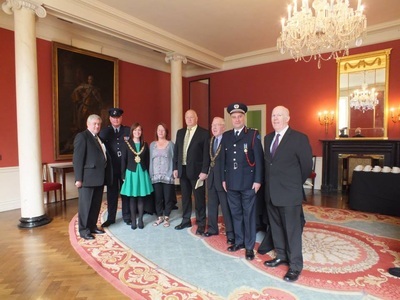 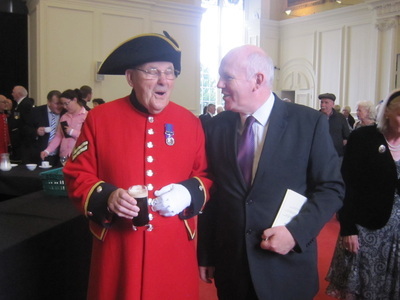 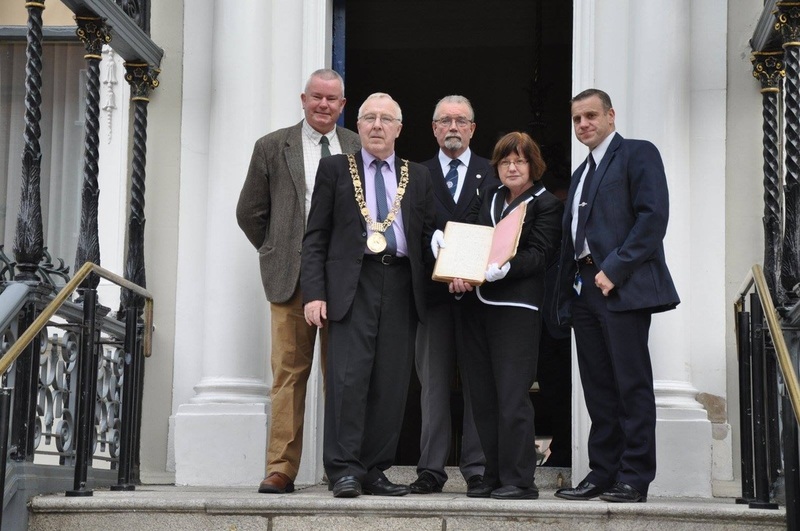 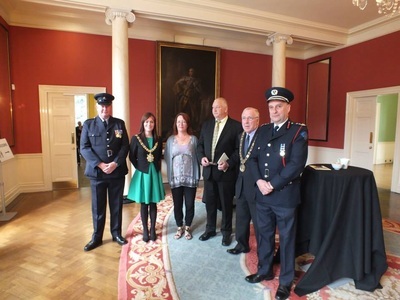 At the Mansion House today presenting the Lord Mayor with a copy of 'Dublin Fire Brigade and the Irish Revolution'. It was a pleasure to meet the Lord Mayor, Councillor Christy Burke again.A remarkable man and a great first citizen for our city. "Las Fallon"
It was a privilege to be part of a small ceremony at the Royal Hospital Kilmainham held prior to the National Day of Commemoration when an emergency Service Medal (Air Raid Precautions variant) was presented posthumously to the son of a Dublin Fire Brigade Auxiliary Fire Service Member. Fireman Pierce Moran had driven a fire engine to Belfast as part of the aid sent from Dublin City during the Belfast blitz of 14/15 April 1941. 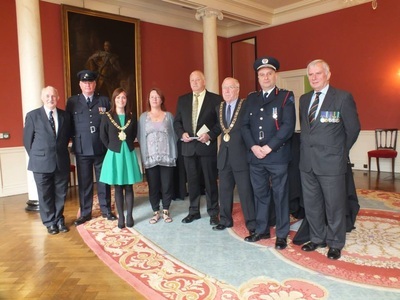 He was again part of a group of firemen who returned to Belfast for a second time after a heavy bombing raid on the 5 May 1941. 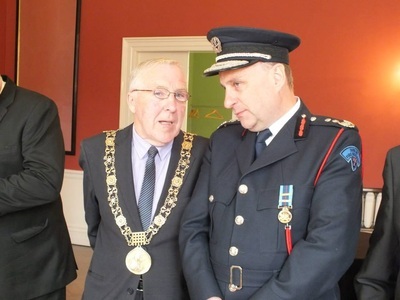 Pierce Moran was not awarded the emergency Service Medal after the war as he was entitled too. 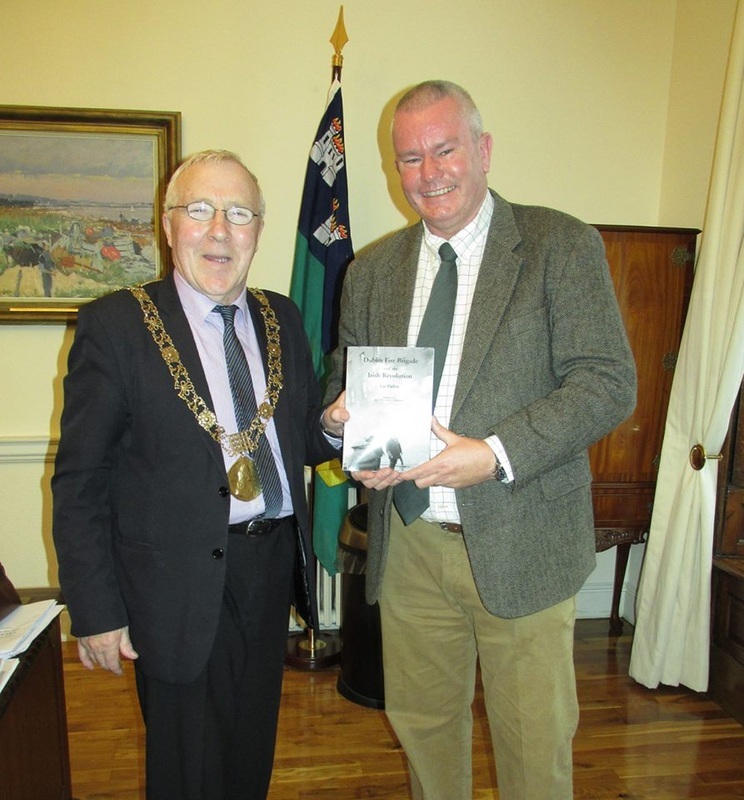 This came to prominence after a published article Donal Fallon wrote on his blog regarding the aid sent to Belfast in 1941. 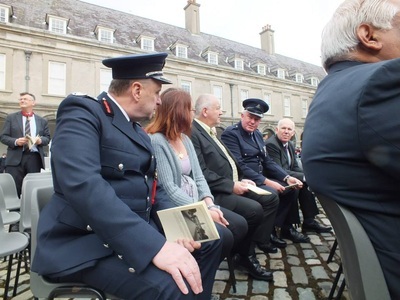 Pierce Moran’s son contacted Donal to say that his father was one of the firemen involved in the event, he went on to tell of the lack of recognition his father received after the war. 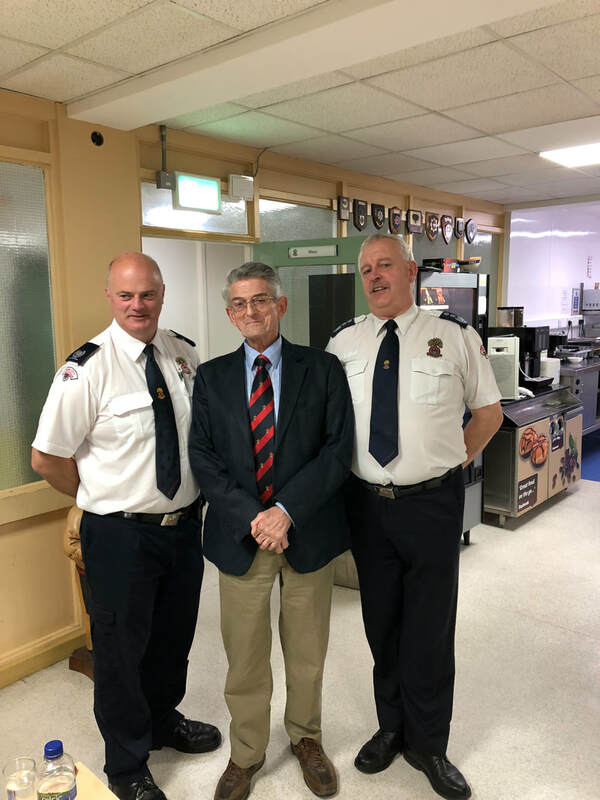 Donal informed his father Las Fallon a serving member of Dublin Fire Brigade he made contact with Pierce Moran’s son who is also called Pierce. 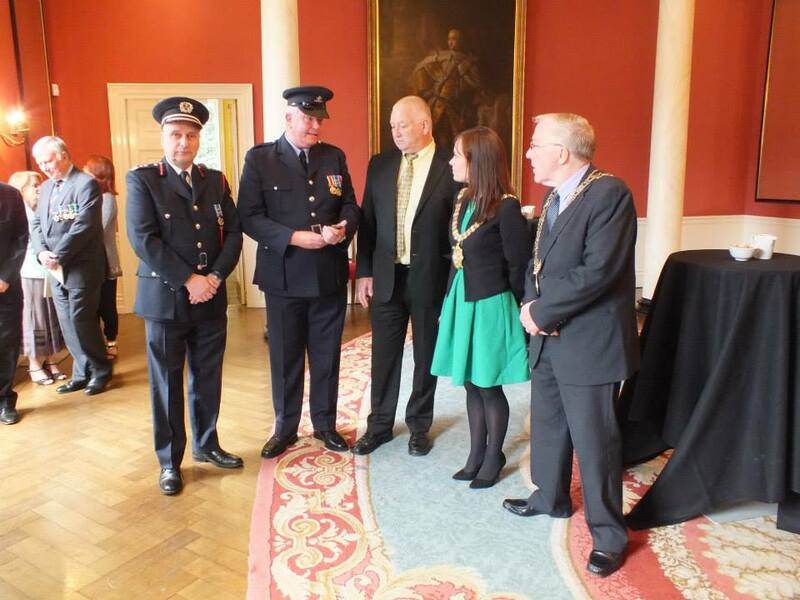 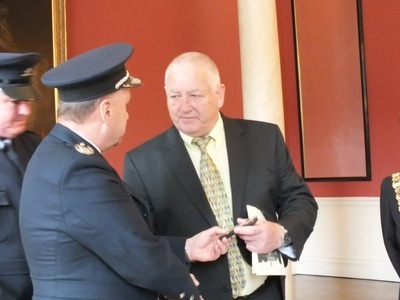 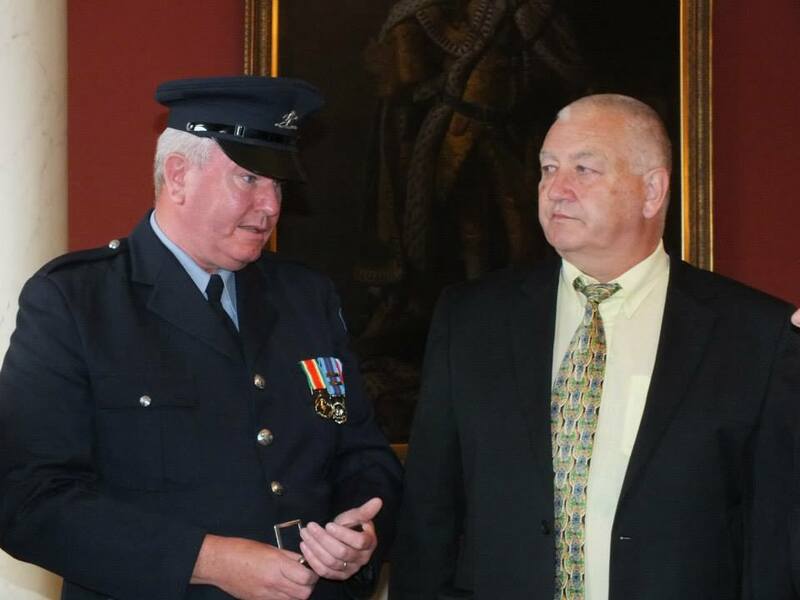 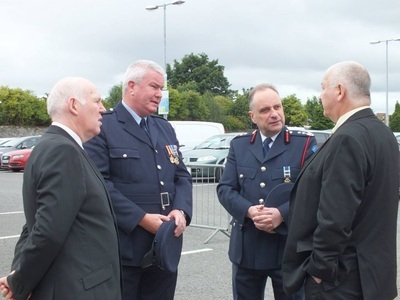 Las followed it up through the surviving records and informed Pat Fleming Chief Fire Officer Dublin Fire Brigade. Great Northern Railway Steamer from Howth & Merryweather Escape from FST Athy. 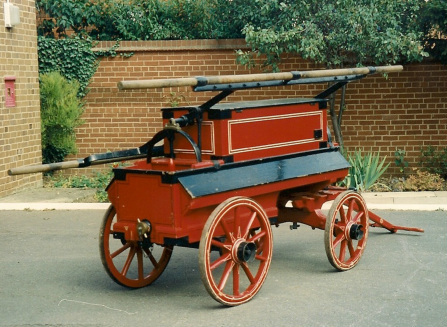 ex Essex. 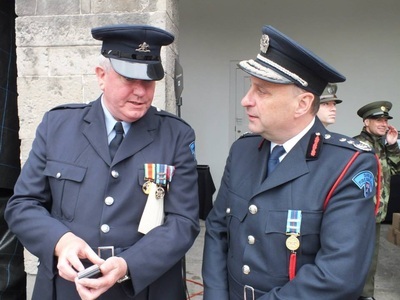 Photos of AFS competitions, thanks to Michael Sheehan, Limerick. 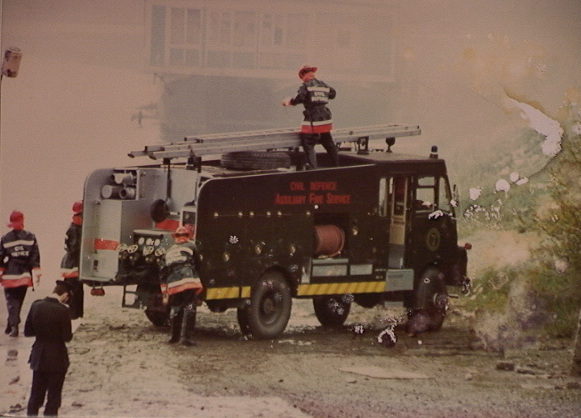 More of Michaels photos can be seen on the Civil Defence Page. 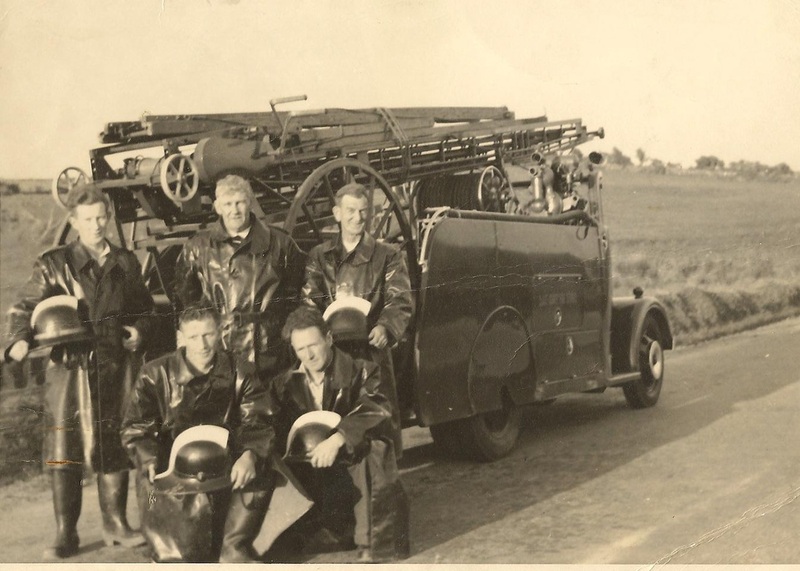 Fire at Waltons late 1930's early1940's. 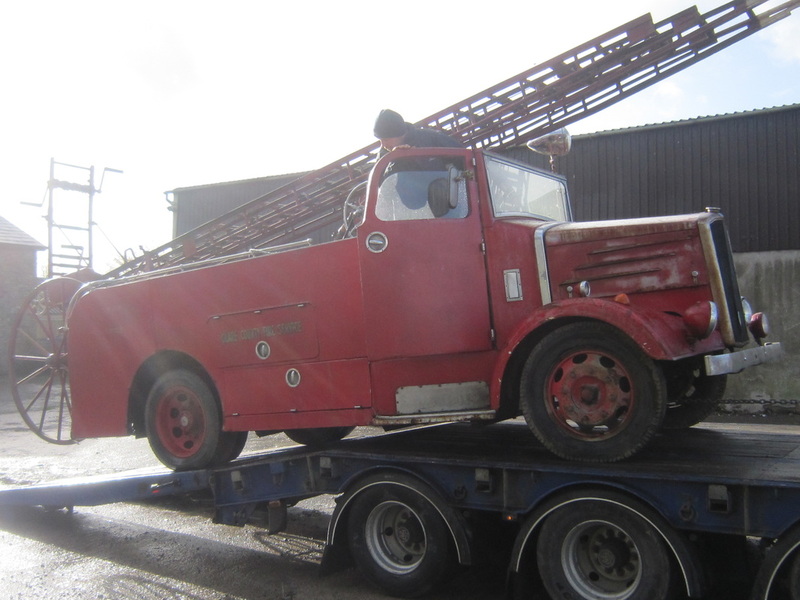 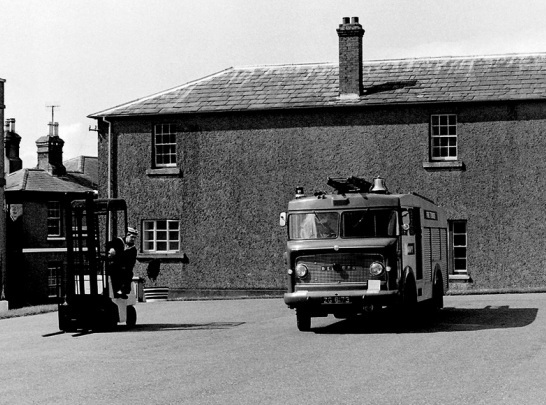 Photo of the first Timoney being delivered to Navan, it later served at Dublin airport. 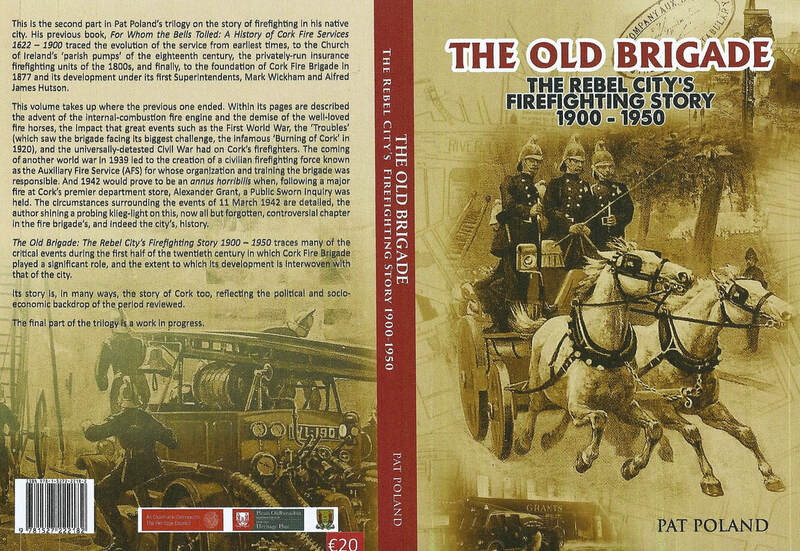 Click on the photo above to purchase a copy of Dublin Fire Brigade and the Irish Revolution.